Not too long ago, going through the process of being able to accept credit card payments for small computer businesses was probably a daunting task for most. You would have to set up a merchant account and then buy expensive processing equipment. However, with the introduction of Square in 2009, the days of easy credit card payments are finally here, and PayPal just recently launched their own version, called PayPal Here, to take on Square. These services allow computer businesses to easily accept credit card payments through iOS and Android devices. Both Square and PayPal Here have their own separate advantages, but are also so similar that it can be difficult to decide which one is best for your computer business. Let’s have a look at the two services and see which one would be ideal for you. First off, Square and PayPal Here both charge a transaction fee for credit card swipes. Square charges a 2.75% fee, while PayPal Here charges a slightly lower 2.70% fee. The difference is very minute at first, but it can add up over time if you plan on bringing in a lot of transactions. If, for any reason, you must manually enter in credit card transactions (if you don’t have the card reader for instance), both Square and PayPal charge a 3.5% + $0.15 fee per transaction. There’s also a $1,000 weekly deposit limit with manual entries. If you go over $1,000 for any given 7-day period, anything over the $1,000 will be held for 30 days before they’re released to your bank account. However, there will be very few instances where you would manually enter in credit card details. Both Square and PayPal Here offer their readers for free with free shipping, and the accompanying app is free as well. Customer service is obviously a huge factor when it comes to choosing a product or service. PayPal Here is promising to have both phone and online support 24/7, but since the service is just launching, it will be a little while before we find out just how good that support will be. As for Square, it hasn’t fared so well in the customer service department. Many Square customers have complained about the lack of live and easy-to-reach support. Only time will tell to see if PayPal eithers suffers the same fate or rises above. Both Square and PayPal Here are great services and there’s nothing about either that would be an extreme deal breaker (unless you’re using Android, for which PayPal Here doesn’t support just yet). However, if you’ve been a loyal PayPal user for some time, choosing PayPal Here would be a good bet, since you’ll already have a wealth of features at your disposal. Plus, PayPal Here offers the ability to accept paper checks using your camera as a scanner of sorts. If you’re going into it as a complete mobile-payment virgin, Square’s simple user interface makes the product really easy to use and they even have a separate app for the iPad that turns it into a full-fledged, easy-to-use register. Whatever you choose, may your business flourish with the greatness of mobile-payment technology and let us know how it works out for you when you finally take the dive into the mobile payment pool. Guest post by Craig Lloyd. Craig has been tinkering with computers for over eight years and is CompTIA A+ certified. For the past three years, he’s been writing about and sharing his love of technology at various websites across the internet. 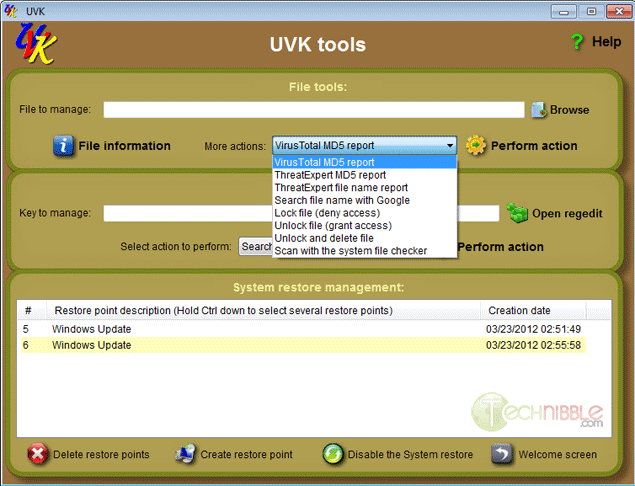 Ultra Virus Killer, also known as UVK, is a free and portable application designed to help users detect and remove malware. 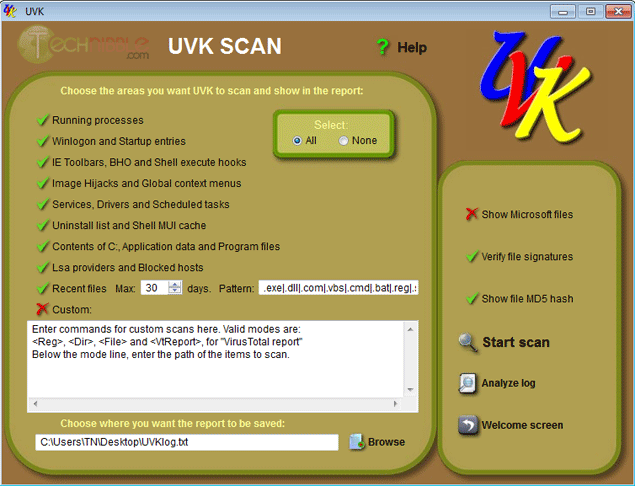 UVK acts as a swiss army knife of malware removal as it contains similar functionality to a range of computer technician software use such as Process Explorer, Autoruns, Unlocker, Windows Repair and more. 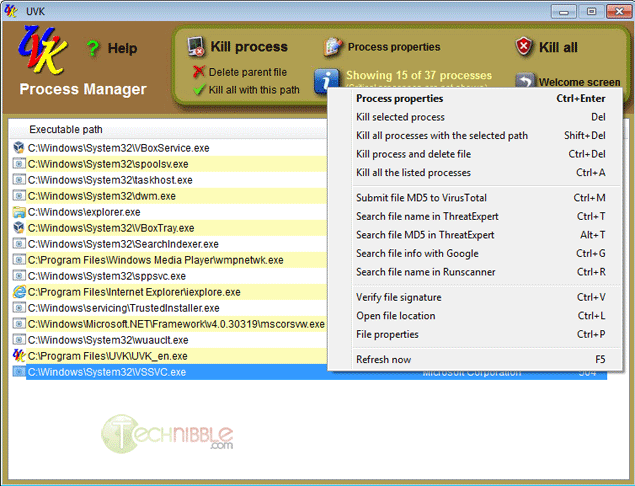 The strength of this application is not just its ability to help you remove the offending malware, but repair the damaged Windows install afterwards. For example, the application allows you to create scripts that will reset the hosts file and DNS, Reset IE, Reset Group Policy, Fix .exe extensions and much more. While I was researching UVK, I discovered that the creator of UVK is a Technibble forum regular with some sizeable threads about it. 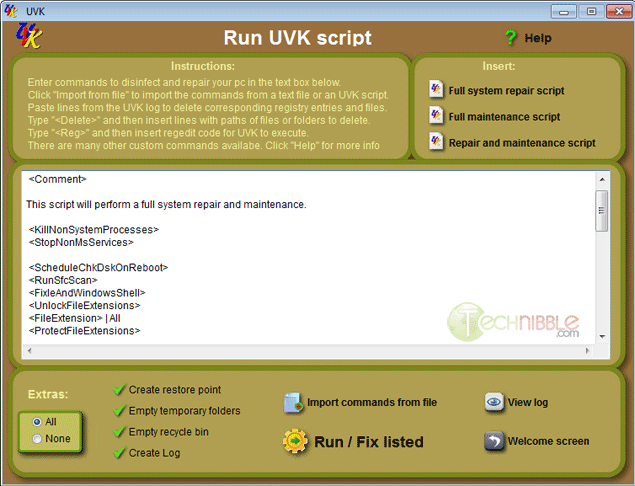 UVK has too many features to list here so be sure to check out the screenshots. If iYogi is listed in Wikipedia, why aren’t we? By now I’m sure you’ve heard the news that the anti-virus company Avast! suspended iYogi support service from its products last week. It made news in blogs and forums throughout the tech community, including The Force Field. The news made it into Wikipedia as well. The Wikipedia entry for iYogi was updated March 15 with news of the suspension. My initial reaction was one of disbelief. It soon gave way to feelings of great annoyance, disdain and insult. However, my reactions were not directed at iYogi, although the name itself is known to evoke those same emotions within the IT community. No, they were directed solely at the source itself. Wikipedia. This is what bothers me about Wikipedia. They willingly accept entries for trivial items about large companies and famous people, but smaller companies or little known entities they will immediately reject. I understand their reasoning for this, but it is seriously flawed, because it attempts to elevate the larger entities beyond their already perceived status of importance while it even further demotes the “nobody status” of the little guy, which isn’t really fair and defeats the purpose of having an online encyclopedia in the first place. If I want to know more about a topic, I look it up in an encyclopedia. If that topic is common knowledge already, chances are I know about it, so there is little reason to do so. The reason I look something up is because it isn’t common knowledge and I want to find out more about it to increase mine. Every company, large and small, contributes to history and society in some way. It may be to only a minute degree, but each degree does count. Wikipedia’s approach is to “snub” the little guy whose contribution is considered by them too miniscule to matter, in effect placing themselves in the position as judge and jury over historical fact. Such snubbing of small companies indicates their criteria for “important contribution” is the size of their wallet, their fame factor or the amount of revenue they generate instead of to simply collect and catalogue actual data on human knowledge in general. The original purpose of an encyclopedia was to collect and catalogue all known human knowledge and fact. When I was a kid, I could look almost any topic of relevant knowledge in an encyclopedia and learn about it. This did not, however, include diversions such as movies, television shows and celebrities in the entertainment world. Those were contemporary diversions that had little to do with the accumulation of relevant knowledge having significant impact on sustaining society. Gilligan’s Island wasn’t in the encyclopedia. Neither was the Kellogg Company. Yet both are listed in Wikipedia as if they were somehow relevant or important to know for our very existence. They may be popular icons and people may want to know more about them, but they are not equal in human relevance to topics such as how a television works or how cereal is made. However, Wikipedia, in its self-appointed wisdom, drew a new line on what is considered important human knowledge by giving them all equal billing.So, if Gilligan’s Island and the Kellogg Company are now somehow equal to something really important to know for our existence as a society, then technically speaking, so is everything else. Not so fast, says Wikipedia. We have to draw the line somewhere, they say, so we will determine this based on how popular or well-known the item is. And what items meet this criteria? Well, we’re not really sure, and apparently, neither is Wikipedia, since that determination is in the eye of the beholder, so to speak. There are some obvious ones, of course. Lady Gaga makes the list, as do most other entertainment celebrities. Little known or one run network TV shows that were never popular and few care about, such as Do Over, are listed as well. Even popular podcasts such as Keith and the Girl make the list, because they are already well-known to podcast listeners (although the general public is still largely unaware of what a podcast is). Since such an entry seemed to be accepted as “relevant knowledge” for an encyclopedia, I attempted to submit The Force Field. It was flatly rejected. Why? Because it wasn’t well-known, popular, or a recognized brand name. Recognized by whom? Those in the IT industry? podcasters? Or people at Wikipedia? It’s an arbitrary line, determined solely by Wikipedia. They set themselves as the final authority on what is considered relevant knowledge and what isn’t. Lady Gaga is deemed just as important to the total knowledge necessary for continued human existence as the process for manufacturing breakfast food. Yet a podcast for the masses is more important than one aimed at a specific segment of the podcast listening population. In my opinion, iYogi has no place whatsover in Wikipedia. But if they are there, everything else should be there too. I mean everything. After all, It’s all knowledge. It’s either all or nothing. Anti-virus vendor Avast has removed the support service for their software offered through iYogi after receiving complaints from their users about the “unacceptable behaviour” of iYogi support representatives. In a blog post March 15, Avast CEO Vince Steckler said the plug was pulled on iYogi support after the AV company received numerous complaints that iYogi support reps invented phony malware issues with their customers’ computers in order to upsell iYogi’s premium support services to them. In a written response to Kreb’s blog post, which Krebs deemed “unapologetic”, iYogi President of Global Channel Sales Larry Gordon called the incident a “Tylenol moment for iYogi and the leadership team”. This was news to Avast and apparently to Mr. Krebs, but it was no big secret to many IT service technicians, particularly those who are members of The Force Field. Ask almost any tech who has done onsite work for iYogi and they will tell you that what Steckler and company just discovered, they have known all along: beware iYogi. There are numerous discussions about iYogi in The Force Field Forums. None of them put the company in a positive light. Computers trashed by iYogi remote support reps, “garbage” work orders for lowball rates sent to techs for onsite service, and “scammy” sales pitches to customers are just a few of the complaints posted by techs in the forums. In short, many IT service technicians who know iYogi or have performed work for the support company in the past don’t like iYogi. Period. Many of them consider support reps at iYogi unqualified, unknowledgable and, in some situations, completely unprofessional. Techs who were already aware of the relationship between Avast! and iYogi were wary of promoting the anti-virus software for that very reason – the iYogi connection. Techs praised Avast for re-evaluating their relationship with iYogi, although some wonder why it took so long for the company to do so. However, should Avast decide to reconnect with iYogi, the AV company stands to lose what new-found respect they just gained within the tech community. As Computer Technicians, one of the most important things for us to do after we install a fresh copy of Windows is to get the operating system online so we can install the appropriate drivers. Unfortunately, there is sometimes a catch 22 where we cant get the operating system online because we dont have the network driver, and we cant get the driver because we cant get online. This is where 3DP Net comes in handy. 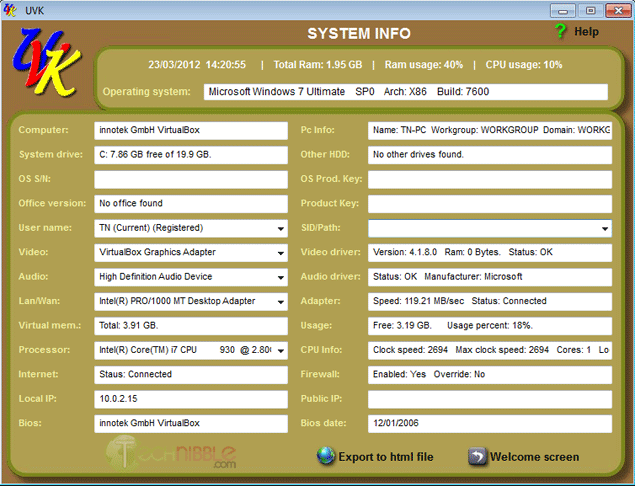 3DP Net is a freeware application that will either install the correct network card driver or a generic one allowing you to get online and download the appropriate drivers. While other driver installing options exist like Driverpacks.net, some technicians prefer to only install the very latest drivers from the manufacturers website and only need a simple network driver. 3D PNet is a small, simple package to achieve that. Special thanks to forum member MobileTechie for recommending this one. Technibble Survey Competition – Winner! Last week we announced a survey competition. The competition is now closed and we have a winner! 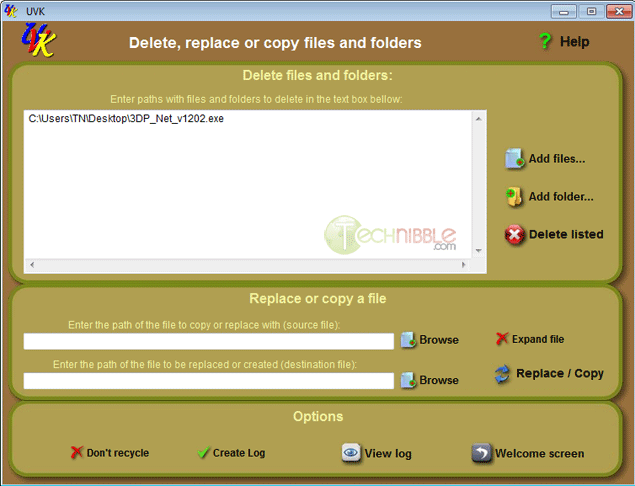 A fantastic portable application that makes backing up and restoring your clients data incredibly easy. This is easily one of my favourite pieces of software as a Computer Technician. 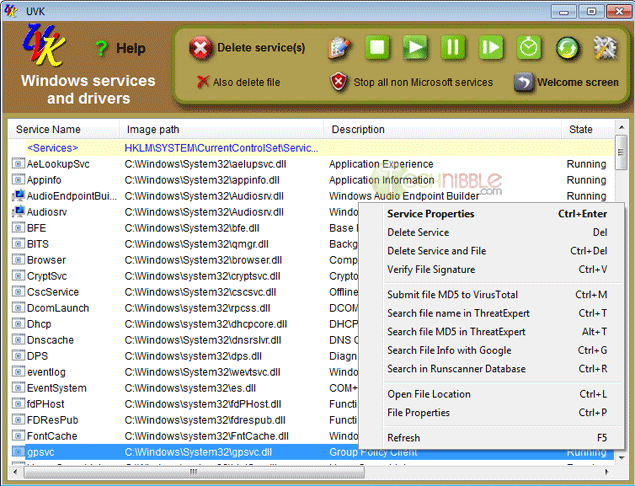 You can checkout Fabs Autobackup here. Lisa (who has 3 physical store fronts) has allowed us to tap into her knowledge by writing 3 eBooks on how she gets clients via social media, her manual of operations for her business and her guide to provide remote support effectively. Steve Cherubino, who was computer technician until he went full time podcasting has worked on thousands of laptop computers in his shop and would now like to share his laptop repair knowledge with you with 10 hours of high definition, narrated, downloadable videos. You can check out the Laptop Repair Videos here. Special thanks to all those who entered and special thanks to Fabrice, Lisa and Steve for providing the prizes. This is The Force Field IT Business Resources Directory. Some directory listings may be available to the public, however the majority of them are accessible to members only. If few categories or listings appear on a page, you may not be logged in. You must be a registered member to access these areas of the directory, however membership is free to qualified IT service professionals and vendors. Telaid offers core competencies in IT, AV, security and managed services and claims to be “100% focused on Multi-Site Enterprise Clients”. Technicians are apparently referred to on the site as “partners”. The company has offices in Madison, WI., Denver, Chicago, Los Angeles and Old Lyme, CT. It is rumored the company may not be financially stable although this has not been confirmed.